In the 17th and 18th centuries, different types of Holy Trinity statues reminded people of the sufferings of the plague of 1691. The Holy Trinity Column in Buda, standing in front of the Parish Church of the Holy Virgin and the Old Town House of Buda, was built between 1710 and 1714. In 1916, during World War I, the column was the scene of the coronation of king Charles IV Habsburg. The column was demolished at the end of the 19th century. The original copperplates for this engraving are also preserved in the museum's collection. There were nine statues on the monument altogether, all of which were carved by Fülöp (Philipp) Ungleich. The three reliefs and coat-of arms were made by Antal (Anton) Hörger. Later, 16 statues were added to the column. The architectural setting surrounding the column also changed several times. During World War II the original statues in the collection of the Budapest History Museum were seriously damaged. 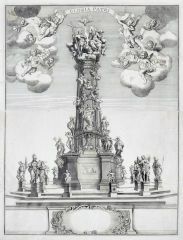 A smaller size engraving was also made of the monument decades later. 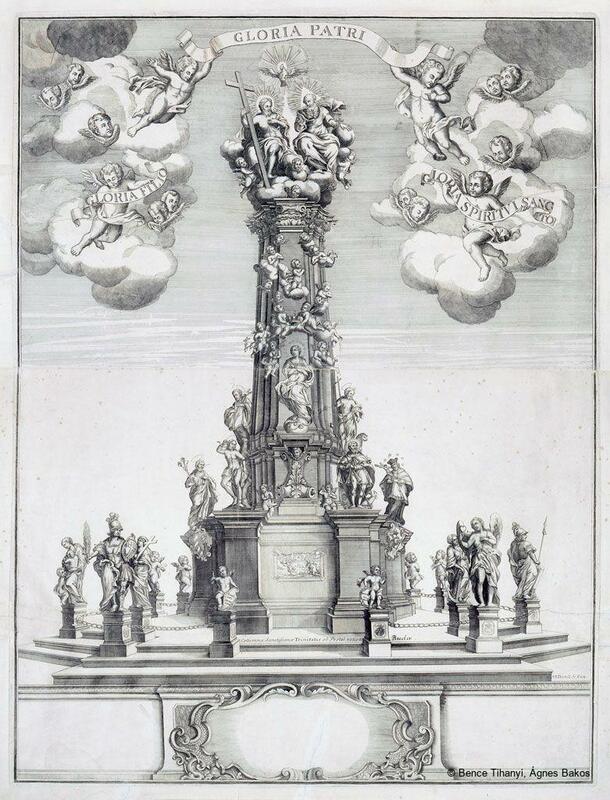 A large-size Baroque engraving representing the Holy Trinity Column, one of Buda’s most precious Baroque monuments. Budapest az Újkorban (Budapest in Modern Times), (ed. G. Szvoboda Dománszky), Budapest, 1995, p. 37.